Brian J. Fratus is President of Garden Solar LLC, which he founded in November 2009 to develop utility scale, grid connected PV solar projects in select U.S. markets. As project developer, he executes the process of electrical interconnection and obtains authorization to construct ground mounted PV solar installations. He pursues and arranges financing for project development and construction activities. Currently, Brian has 42 MW of PV solar projects completed and an additional 8 MW completed or near completion. Brian has negotiated asset purchase agreements and joint development agreements for asset transactions and advisory services with large U.S. utility holding company subsidiaries and Chinese investor groups. He negotiated power purchase and renewable energy credit structures with third party market makers and engineering, procurement, and construction contracts. He has recently undertaken development of commercial and industrial solar projects combined with energy storage facilities as the electricity grid becomes more decentralized. Prior to founding his company, Brian was the Director of Project Development for International Power America, Inc. where he led all aspects of power project development activities primarily in the Eastern United States in traditional fossil power generation, such as gas turbine technology and renewables in biomass, wind and solar technologies. 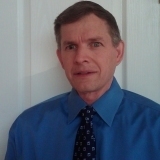 Well-versed in entrepreneurial business development, Brian has over 25 years of U.S. and international experience in business and project development, acquisitions, finance, asset management and consulting with leading energy sector firms involving over $4 billion of investment in fossil and renewable power. His strong work ethic and ambition propel him to excel. Brian received his B.A. from George Mason University in International Studies concentrated in Economics in 1984 and subsequently pursued additional studies toward a B.S. degree in Computer and Electrical Engineering. He received his M.A. in Economics concentrated in Finance from Virginia Tech in 1994. His thesis was published and focuses on Rational Asset Pricing: Book to Market Equity Ratio as a Proxy for Risk in Utility Stocks.. He completed at Villanova University a project management certification program and a solar power plant design program at University of Wisconsin. In his free time he enjoys spending time with his family and coaching his daughters soccer team, as well as teaching them how to play chess. Brian believes that skill can be taught but the fundamentals are what is key to winning in sports and in life.